I got back a few days ago from a month-long trip to (mainland) France, the UK and Iceland (I’ll be blogging about the Icelandic language soon), and I wanted to share some surprising or humorous translation errors I came across while travelling. The ‘keys’ have of course been translated into the other languages using the word for computer keys and not car keys. Thankfully the context and the illustration help you understand what is meant. I don’t speak German, Italian or Spanish so can’t vouch for the other languages, but in French a new word, renez, has been created. Although I lived for three years in South Korea my Korean isn’t fluent enough to be sure when there’s a mistake, however a Korean friend confirmed that while the Korean itself is correct, ‘Specsavers’ should be at the beginning and not the end of the sentence. 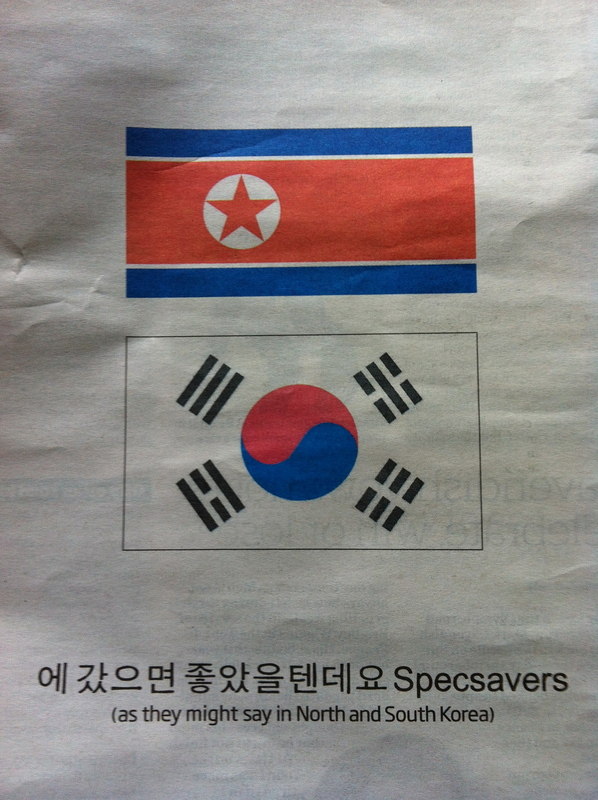 Presumably the advertisers wanted the Korean to look like the equivalent English sentence (an advertising slogan which is well-known in the UK): “They should have gone to Specsavers”. Puts a ro-dent in your appetite? Here Souris [d’agneau] (knuckle of lamb) has been translated literally as ‘mouse’. (This photo was also featured in The Telegraph’s ‘Sign Language’ photo gallery). Things have improved however, as a few years ago filet was translated thoughout as ‘net’ instead of ‘fillet’, and cabot de fond (a type of fish) was translated as ‘dog bottom’! Have you seen any translations that have made you laugh out loud recently? P.S. By the way, the level of English in Iceland was amazingly good – I virtually never saw (or even heard) any mistakes in English. Great post. Can’t wait to read about Iceland…ah, the envy! In Spanish, the same word, “callos”, is used for tripe and callouses…figure out which one of the two English words was used for a menu somewhere in the middle of Castille? …didn’t have the heart to ask if any foreigners had ever asked for the dish!!! 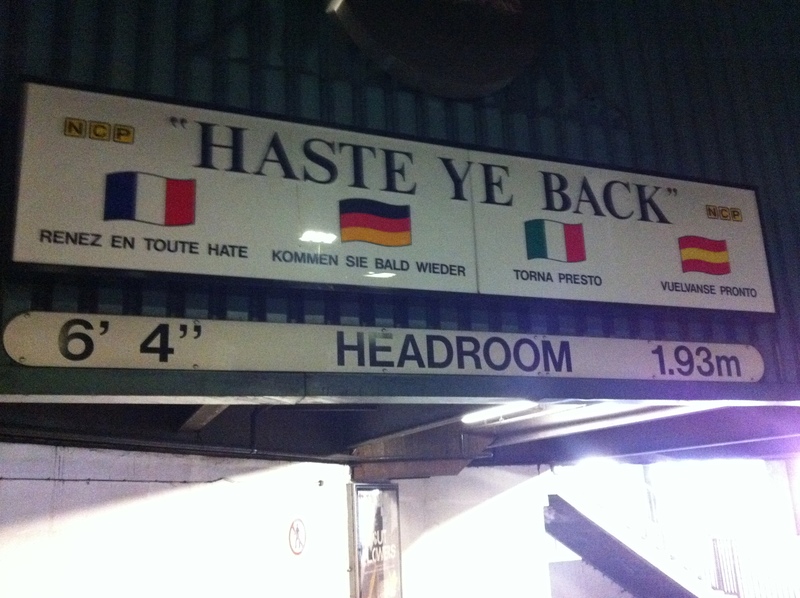 The German version is correct, the French one is rubbish. Can’t say anything about the Italian and Spanish ones.